Prof. Arjen Hoekstra is a professor of Water Management at the University of Twente, in Enschede, the Netherlands. Throughout his career he has led a variety of interdisciplinary research projects and acted as an advisor to governments, civil society organizations, companies and multilateral institutions like UNESCO and the World Bank. Prof. Hoekstra was the first to quantify the water volumes virtually embedded in trade, thus showing the relevance of a global perspective on water use and scarcity. As the creator of the water footprint concept, he introduced supply-chain thinking in water management. With the development of Water Footprint Assessment he laid the foundation of a new interdisciplinary research field, addressing the relations between water management, consumption and trade. 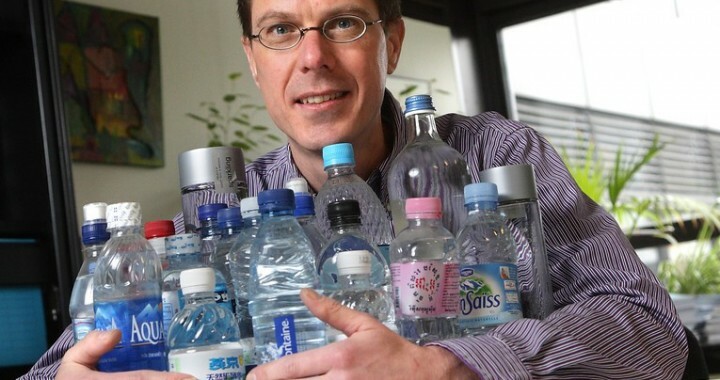 Prof. Hoekstra is the founder of the Water Footprint Network, was the organization’s first Science Director and is now the Chair of its Supervisory Board. Prof. Hoekstra’s scientific publications cover a wide range of topics related to water management and include a large number of highly cited articles and book chapters. His books were translated into several languages and include The Water Footprint of Modern Consumer Society (Routledge, 2013), The Water Footprint Assessment Manual (Earthscan, 2011), Globalization of Water (Wiley-Blackwell, 2008) and Perspectives on Water (International Books, 1998). Since April 2016, Prof. Hoekstra has been Editor-in-Chief of Water (ISSN 2073-4441), an international and interdisciplinary open-access journal published by MDPI, covering all aspects of water, including water science, technology, management and governance. As Editor-in-Chief, he hopes that the journal will continue to cover all of these aspects, as well as being open to papers that bridge the gap between water studies and adjacent fields of study, like spatial planning, agriculture, food, energy and climate change. The focus should be on inter-disciplinarity, as this is the natural niche of the journal, especially when compared to other journals in the category of water resources which have more narrowly defined scopes and focus on specific research areas. Prof. Hoekstra hopes that the journal will continue to appeal to researchers who will submit articles of good quality, originality and high impact. See the latest papers published in Water at https://www.mdpi.com/journal/water. Science Advances 2016, 2, e1500323, doi:10.1126/sciadv.1500323. Total Citations: 16180; h-index is 54, i10-index 123 (data from Google Scholar). Posted in Editorial, Interview, MDPI News, New and Notable, Open Access Publishing, Peer-Review, Uncategorized, Water and tagged Academia, Editor-in-Chief, Interview, open access, publishing, research, water.